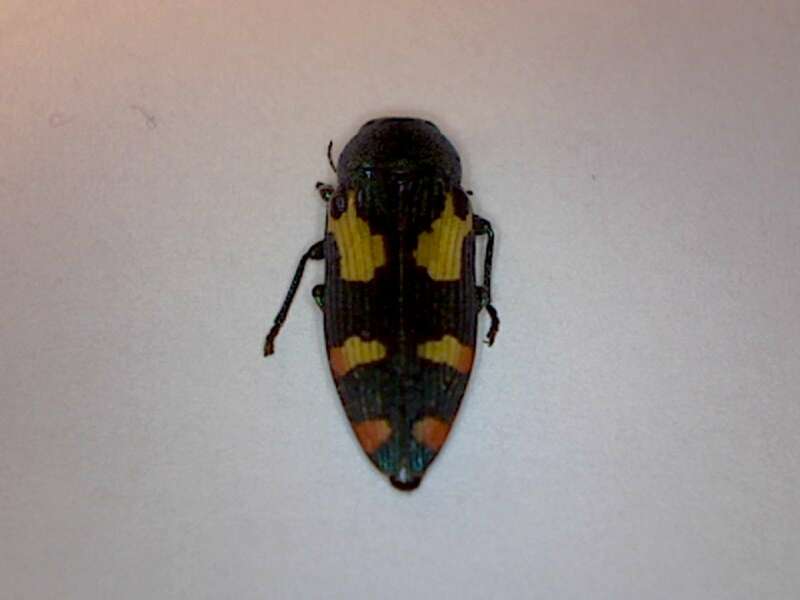 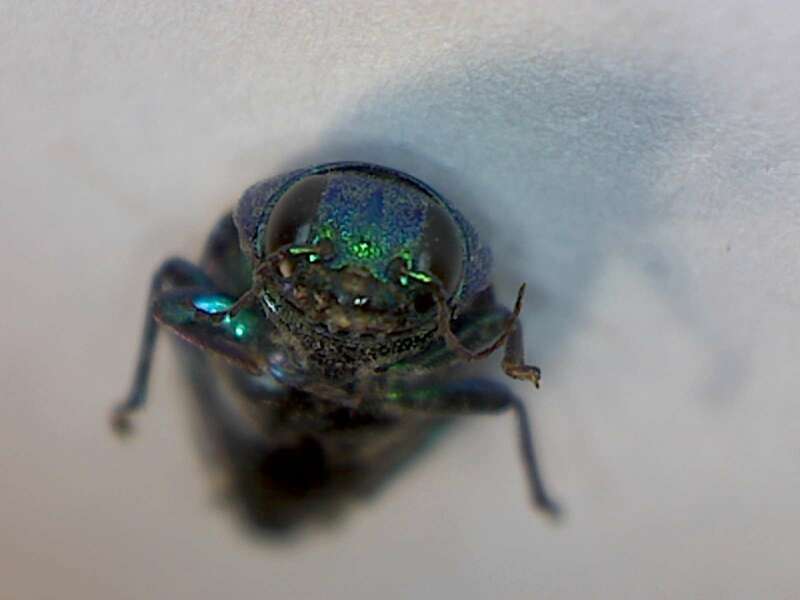 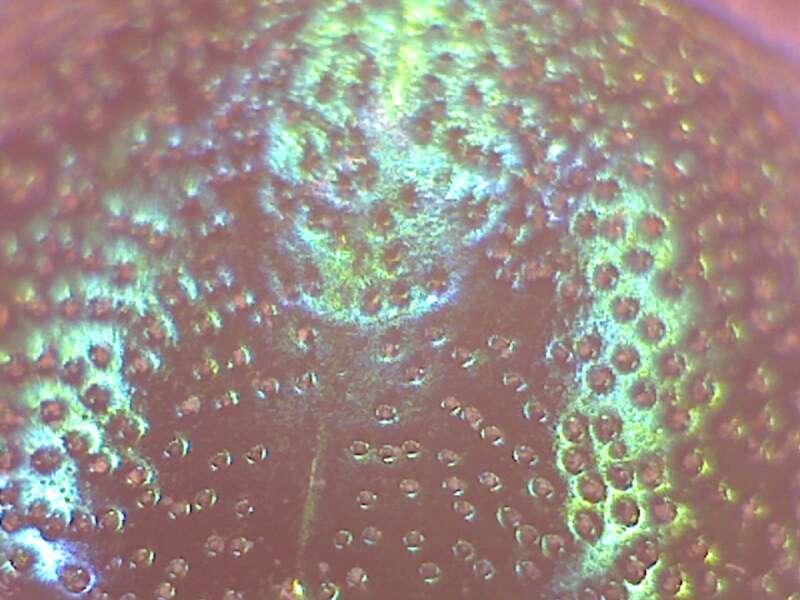 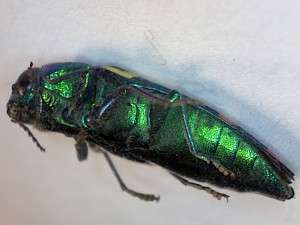 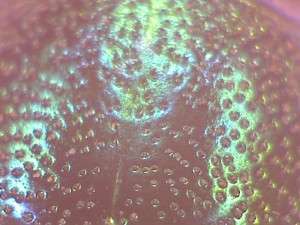 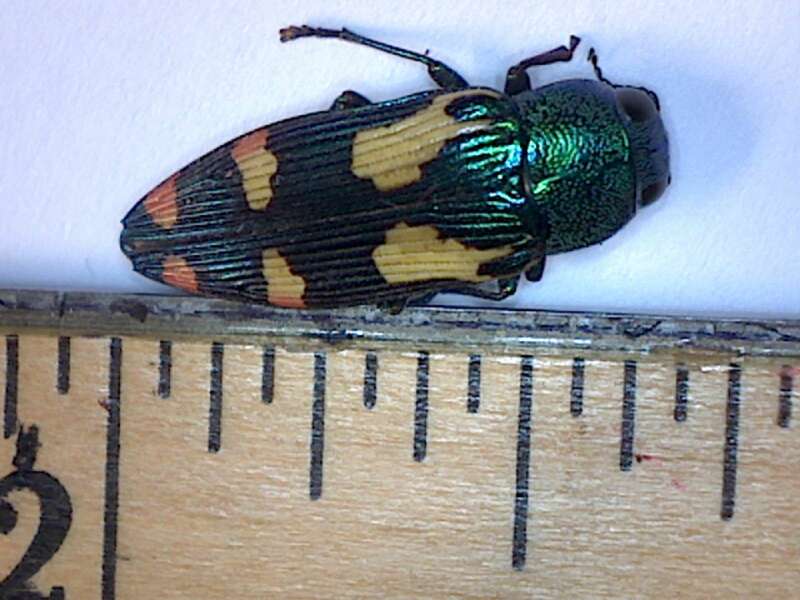 Metallic wood boring beetle, July 2015, Collected by Steve Deaver, Twain Harte, California. 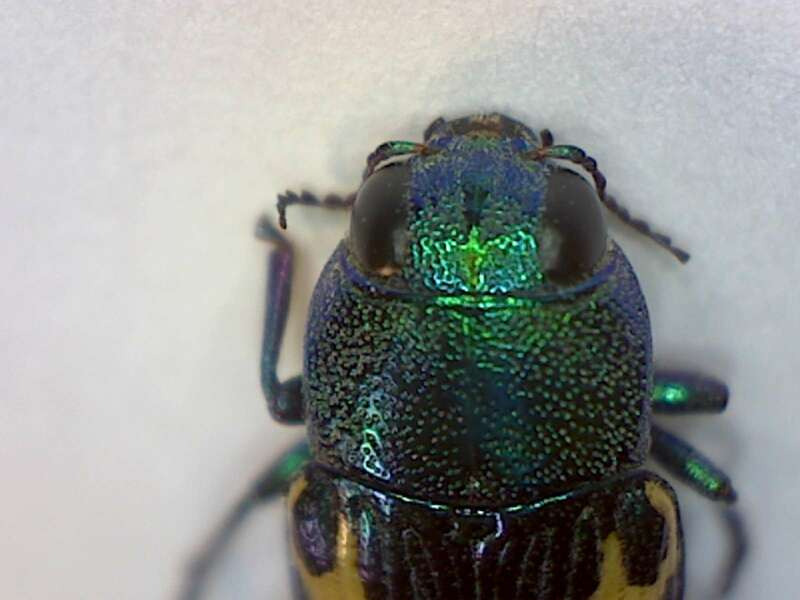 Metallic wood boring beetle, July 2015, Collected by Steve Deaver, Twain Harte, California. 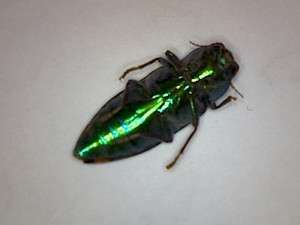 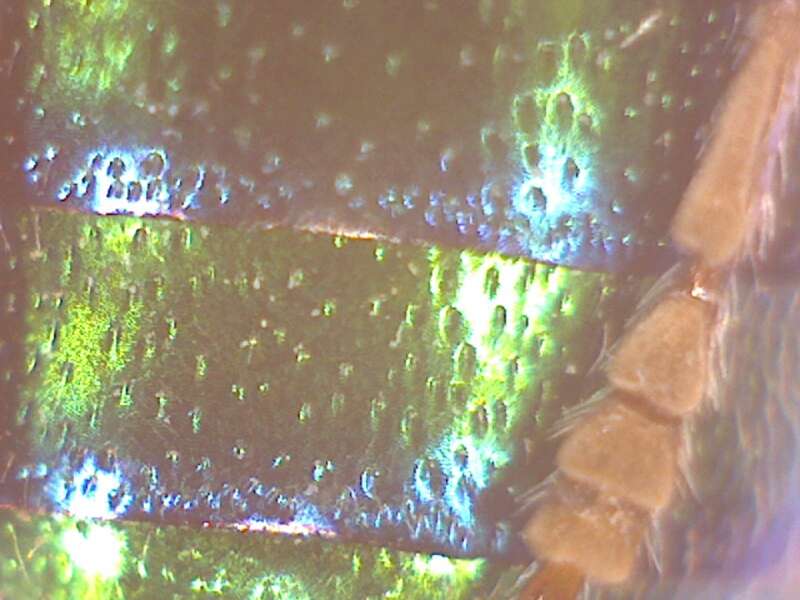 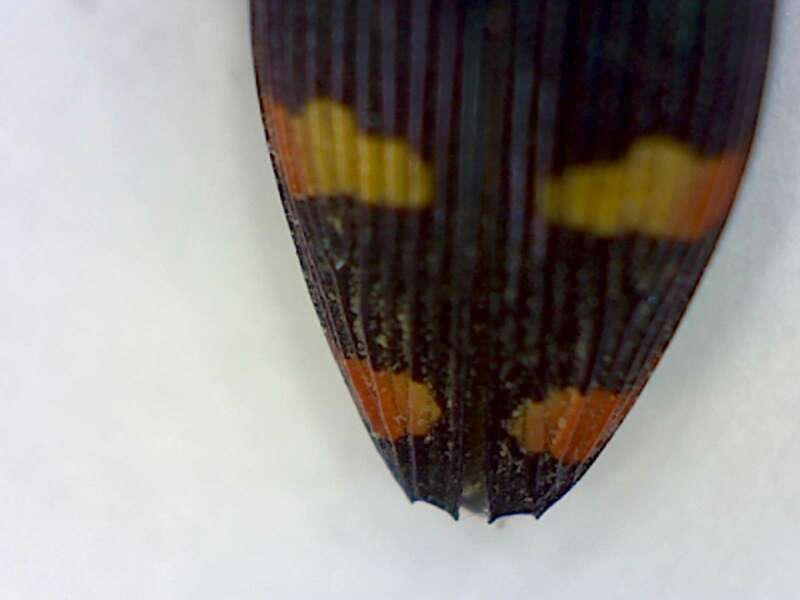 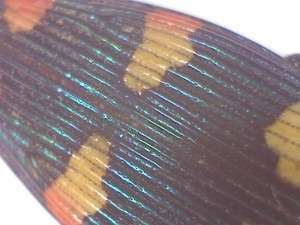 Detail of thorax, dorsal view. 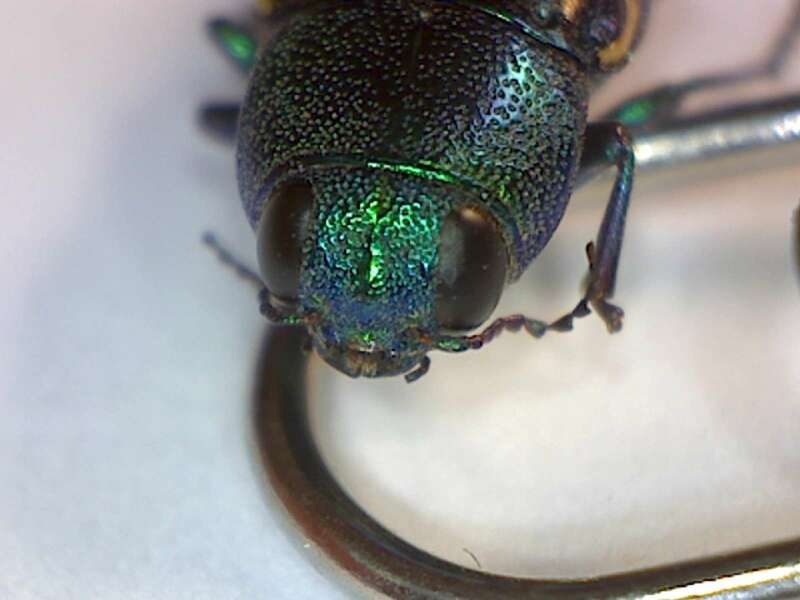 That is a paper clip it is resting on. 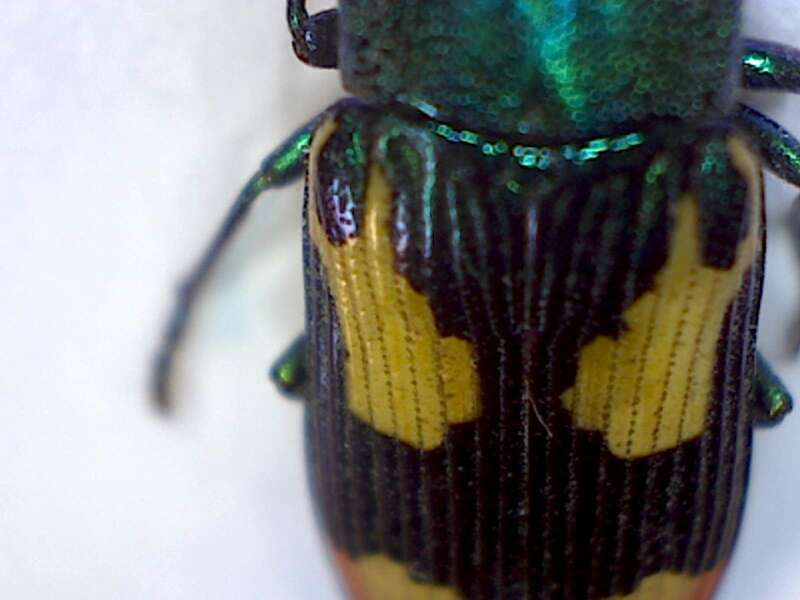 Metallic wood boring beetle, July 2015, Collected by Steve Deaver, Twain Harte, California. Detail of wing covers.